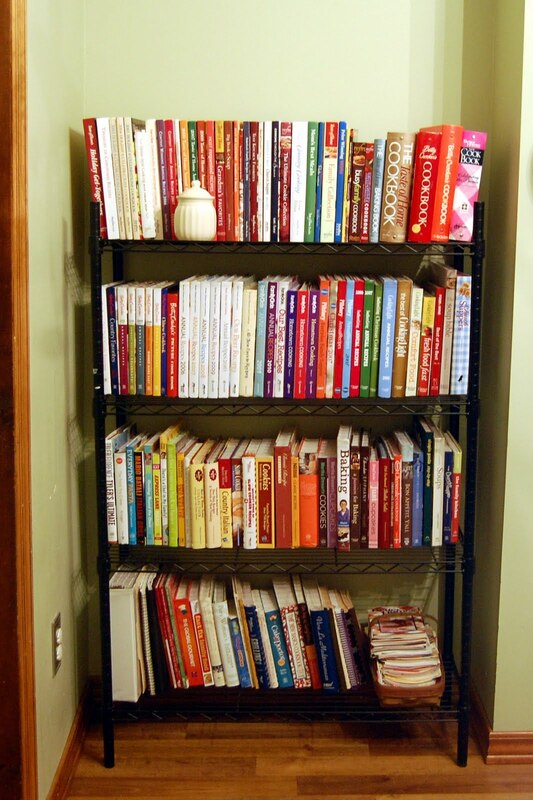 I have a lot of cookbooks, arguably way more than one person should own, and definitely more than one person needs. The truth is that I find most of the recipes I make online, so my cookbooks don’t get used nearly as much as I wish they did. That’s why I love this little habit of Will’s. Nearly every night, he picks one cookbook from the shelf, flips through it for a little while, and then brings it to me when he’s finished. Usually I’m in the middle of something else, so I’ll just return the cookbook to the shelf, but occasionally I’ll stop and flip through it for a while. One night recently he brought me A Passion for Baking, and I promptly lost at least 30 minutes of my life looking through it, drooling over and bookmarking nearly every single recipe. I decided to make this coffee cake first, both because it sounded delicious and because I already had everything on hand. This was a delicious coffee cake. It looks like it would be dense and heavy, but it actually has an airy texture and a mild, pleasing banana flavor. The sweet toffee topping provides a nice crunch, and the toffee flavor works perfectly with the banana. And it makes for such a pretty presentation, too! 1. Preheat oven to 350 degrees. Generously spray a 10-inch springform pan or a 13 x 9-inch pan with nonstick cooking spray. Place pan on a parchment paper-lined baking sheet. 2. For the toffee topping, in a small bowl, blend confectioners' sugar and flour. Using our fingertips, rub butter into flour mixture to make a mealy crumb mixture. Stir in toffee bits and set topping aside. 3. In a medium bowl, hand-whisk together flour, baking powder, baking soda, and salt. 4. In a mixer bowl, cream butter and sugar until fluffy, about 5 minutes. Add eggs and vanilla and blend well, scraping bottom of bowl occasionally to ensure there's no unmixed butter or sugar. Add banana, sour cream, and dry ingredients. Mix on low speed until thoroughly blended, about 2 to 4 minutes, scraping mixture on sides and bottom to ensure all batter is blended. 5. Spoon batter into prepared pan. Distribute topping over batter. 6. Bake until cake is done, springs back when gently pressed with fingertips, and see set, about 45 to 50 minutes for a 13 x 9-inch pan or 55 to 70 minutes for a springform pan. My cookbooks are under-used as well! I love sour cream in banana bread ~ this looks like a keeper! Absolutely love this....I am always making a banana bread or cake of some sort. I even have the toffee on hand! Have a great weekend! I have been trying to use a cookbook atleast once a week. That being said, Ireally want ot make this!! Made this today for couples bible study, it disappeared within minutes. Think I"ll make it tomorrow again, was very easy. Another way to use up those ripe frozen bananas. thanks for this recipe.